I made some beautiful Costa Rica vacations with my wife. She decided to stay at the Villa Caletas Hotel, as it is known as a leader 5 star hotel in the Mid Pacific region of this country. 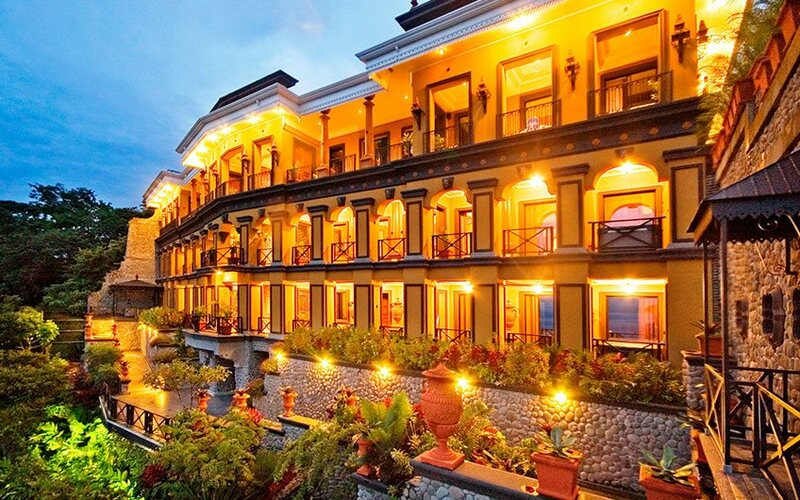 This hotel is one of the pioneers of the Costa Rica boutique hotels that provide a custom quote. Villa Caletas Hotel is in constant renewal in order to meet different customer needs; this is achieved through the modernization of its services and infrastructure. The room had a wonderful terrace, private bathroom, air conditioning, safe, minibar, internet, coffee maker, cable TV and a panoramic mind-blowing view of the ocean. The hotel is not a Costa Rica all-inclusive resort, neither beach front. But it has a privileged location on a hill, so the panoramic view that the hotel has is amazing. It is a luxury small hotel, Victorian and Neo Classical architecture, it has also another part that is called Zephyr Palace, a luxury mansion that offers thematic suites, perfect ones for couples. I have to say that the region’s main attraction is its coast. It is made up of amazing beaches; several of them are located less than 2 hours from the capital of Costa Rica: San José. 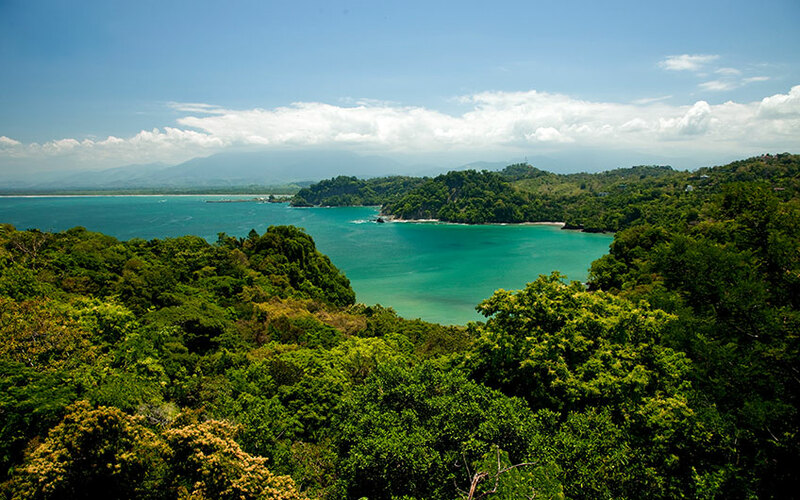 Other important attractions are the protected wilderness areas, for example the Manuel Antonio National Park. We started our trip visiting Manuel Antonio National Park. A place that boast some of the country’s most varied and breathtaking sceneries. It took us about 30 minutes to get to the beach, while walking through the park’s trails we watch white-faced monkeys, raccoons (be careful with these little cuties because they like to look for food near the beach and they are not shy to look into your bag and stole you food or anything that captures their attention), iguanas and many birds species (I don’t remember quite well their names but our guide explained everything we needed to know about every single animal we watched). After spending the whole day at the most beautiful beach, we decided to visit Quepos City. It offers a variety of accommodation, dinning and recreation options. Jacó is one of the affordable Costa Rica family vacation places. In fact, it is very close to the International San José Airport, it is also a small place that offers different hotel options, as well as facilities like drugstores, supermarkets, ATM´s and more. You will have different transportation options to get there, by the way, if you like adventure, rented car will help to enjoy and explore more. Jacó is known as one of the best Costa Rica surfing beaches, it is also close to Hermosa Beach which is a spot for surf competitions. There are also important attractions like the Carara National Park or the Aerial Tram, the tour options adjust to your family or friends vacation. There you will also find Marina Los Sueños which is well known for fishing but in this nice complex, you can find a good spa and a golf course too which is world class. 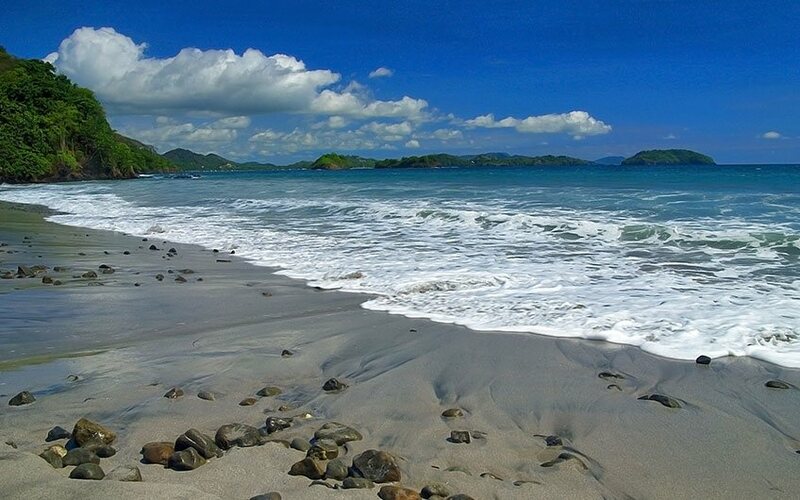 Manuel Antonio, Costa Rica is located at 3 hours approximately from San José, and at 1 hour approximately from Jacó. It is a very good place if you want to experience the beach and the wildlife. It offers a combination of exuberant vegetation and secluded beaches. 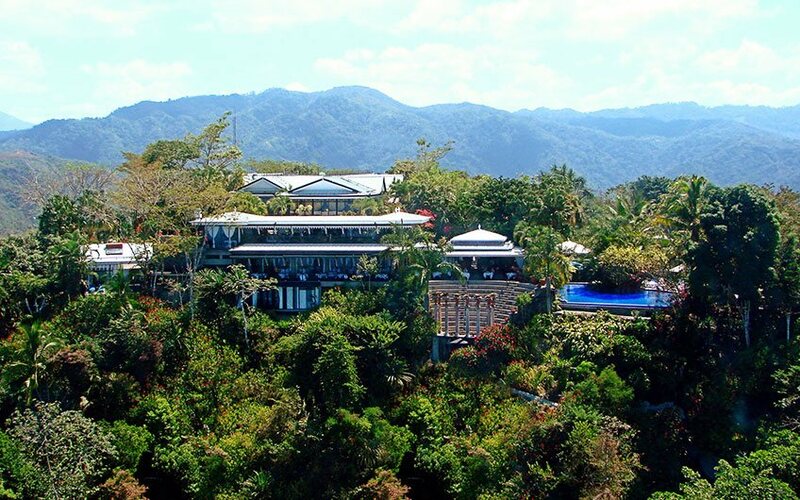 Hotels in the area are not beach front nor all inclusive, however there you can find small hotels with character, beautiful properties that usually are on a hill due to the Manuel Antonio geography. Manuel Antonio beach is inside the national park, it is a protected secluded area where you will be in contact with wildlife. The entrance fee is very cheap and you can walk on the different trails, as these are self-guided. You can find included this visit in most of our Costa Rica vacation packages. Additionally, in Manuel Antonio Costa Rica there is a lot of activities, water sports, adventure or soft tours like catamaran, snorkeling, horseback riding, exciting rafting, canopy tours, kayaking, rappelling, walks, boat tours in the mangrove and much more. If you liked this article, please leave us a comment or contact us if you want us to prepare a quote for you or help with some arrangements in Costa Rica. I've stayed twice at Villa Caletas and loved it each time. The views were breath taking. To be honest, I could not find one bad thing to say except I wish I lived closer. I can still picture myself driving up the mountain seeing the Pacific Ocean in the background with all the lush rainforest in between.